Fox has agreed to a higher $71 billion offer from Disney, making Comcast's recent $65 billion bid obsolete. Is this battle of the media titans finally over? The short answer is probably yes, but the longer answer is no, however unlikely it is that Comcast could somehow manage to get back into the race in any meaningful way. 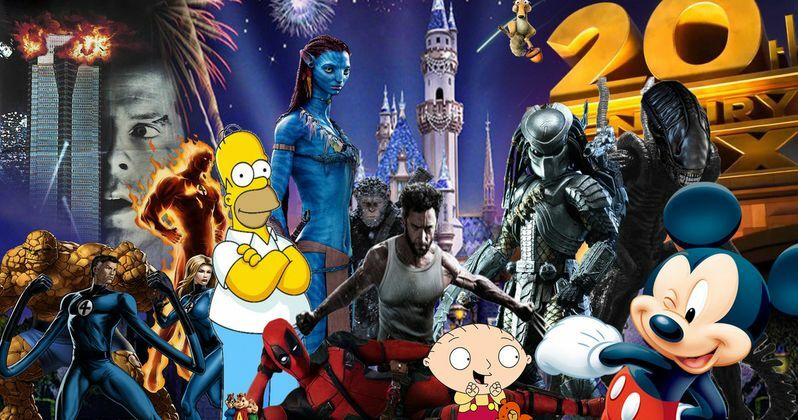 The Mouse House proved to be too much and it looks like Disney will indeed get the rights to the X-Men, Fantastic Four and Deadpool, among many other important media assets. According to a new report, Disney sweetened their original $52.4 billion deal for 21st Century Fox's media assets following a higher, unsolicited bid from Comcast. Fox has agreed to the offer and that may well be that. Comcast could come back with a counteroffer, but their $65 billion offer was all in cash and was going to put the company heavily in debt. Bloomberg analyst Paul Sweeney had this to say. "Comcast's balance sheet may preclude it from bidding much higher. Further hampering Comcast's ability to respond is its position that it does not want to use its stock in a deal at these low levels." Disney's original offer was all in stock and their new offer comes with a cash option. The new offer allows for Fox to take their money as they choose, with Disney offering as much as 50 percent in cash. This offers a lot of flexibility to the deal, making it far more appealing for Fox. Not only that, but Disney is also taking on $13.5 billion worth of Fox's debt, meaning that the deal is worth a staggering $85 billion overall. The amount of money signifies just how important this deal is for both Comcast and Disney. Both companies want to expand their reach into foreign markets and position themselves better in a media landscape that is increasingly moving toward streaming. The deal includes all of the movie studio 20th Century Fox, meaning all of the Marvel franchises and every other franchise under the Fox umbrella, National Geographic, FX, a bunch of regional sports networks, international broadcaster Sky and Star India. Plus, Disney will get Fox's stake in Hulu, which will give them a majority share. Fox has delayed a shareholder meeting scheduled for July 10, which could give Comcast some time to counter offer. But again, it's unlikely they will be able to outmuscle Disney. This bidding war came as a result of the recent ruling in a federal court in favor of the AT&T merger with Time Warner. Ultimately, that ruling will pave the way for more mergers such as this and will dramatically change the media landscape for the future. But as for what fanboys and fangirls are concerned about, yes, this does mean that Marvel Studios will be in control of nearly all of their characters. So we may someday see Wolverine hanging out with The Avengers, or maybe even a good Fantastic Four movie. This news comes to us courtesy of Bloomberg.